The trouble with distortion pedals is that many of them only serve one function. We all know that the distinguished tone chaser sometimes needs extreme gain, sometimes needs mild overdrive - sometimes needs something that does both of the above and everything in between. The Pinnacle not only does that, but it also brings the most convincing "Brown Sound" to be ever heard in a pedal! With two separate styles of gain structure, a powerful mid contour (from scooped to mid hump) control and a control that squeezes out every ounce of tone from your guitar, you'll notice that the Pinnacle is called that for a very good reason. 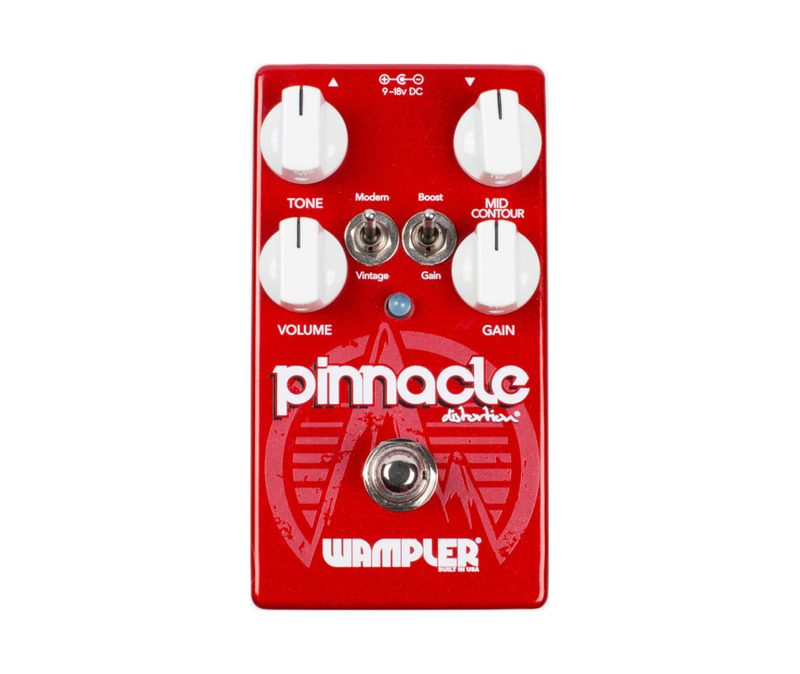 Although extremely versatile the Pinnacle is well known for giving the "Brown Sound", the tone and style of distortion made famous by Eddie Van Halen. Zeke Clark (Van Halen's longtime renowned guitar tech) played through a pinnacle and this is what he had to say: "Ive played tons of pedals that promised that 'Brown Sound' - this pedal NAILS it better than anything Ive ever heard or played."